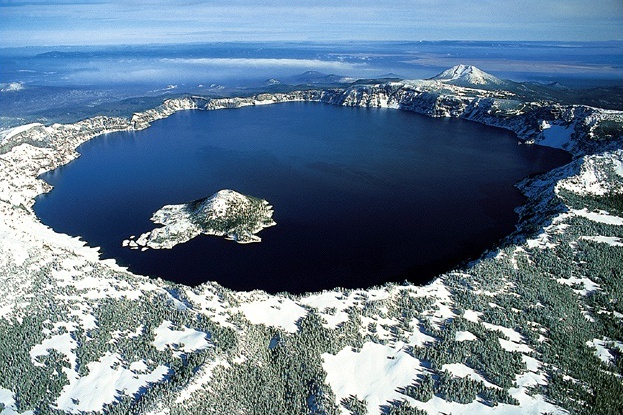 “In southern Oregon, Crater Lake National Park is named for its massive water-filled crater. The lake is filled only with rainwater and snow, and goes down 1,900 feet. This makes it the deepest lake in the United States and one of the most striking anywhere”. Crater Lake RV Park: Also called the Prospect RV park, it provides Primitive RV Camping. According to Crater Lake RV Park, “Located on 10 forested acres by the upper Rogue river are 57 paved, deep & widely spaced sites designed for the biggest of the Big Rigs all nestled in tall pine, cedar and redwood trees”. Big Pines RV Park: Offering electrical hookups and water, Big Pines is a favorite of most RVers touring Crater National Park. Love crater lake campground in Prospect. It is very nice and lots of trails and waterfalls nearby.